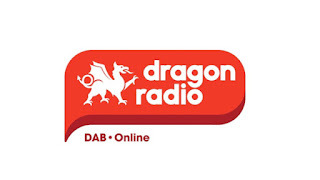 DAB station Nation Gold has relaunched as Dragon Radio today. The station is available on the North Wales, NE Wales and Cheshire, Mid and West Wales and South East Wales local DAB multiplexes as well as online, playing music from the 1970s through to today. Despite the Welsh branding, the new Dragon Radio from Nation Broadcasting will carry a number of programmes from the parent company's new London DAB station, Thames Radio, with shows from Tony Blackburn, Pat Sharp and Neil Fox. Chris Blumer and Lee Jukes will cover breakfast and drive-time for Dragon Radio. The station is not affiliated with the student radio service of the same name, broadcast from the University of South Wales.